Two people were injured in an accident with a light rail train in Houston. 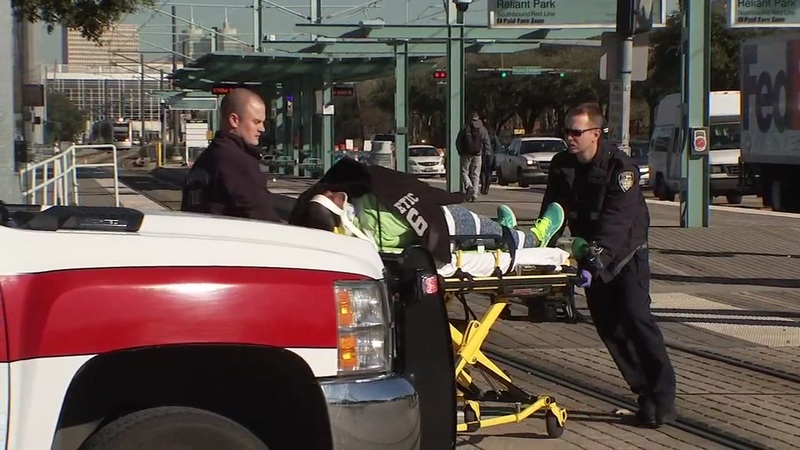 HOUSTON (KTRK) -- Two people were taken to the hospital after an accident involving a METRORail train. The accident happened at Fannin Street and Holly Hall Street by NRG Park. METRO says a car was struck by the light rail train after another driver made an illegal turn or failed to yield in front of the victim's car. The car sustained some damage on the driver's side, but both the driver and their passenger refused treatment. Two people who were onboard the train were taken to the hospital after requesting treatment.